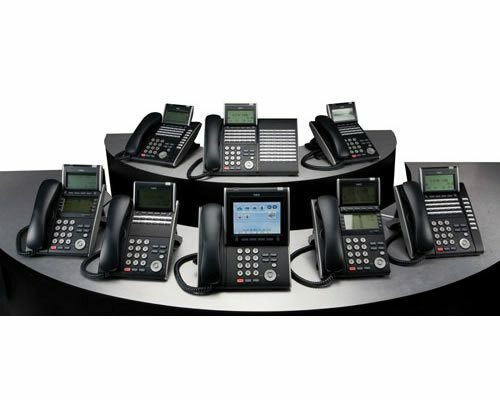 NEC UCaaS, Intermedia, TPx, and Ring Central authorized reseller of Hosted PBX solutions. Why Choose Univerge® SV8300 Communications Server? The UNIVERGE SV8300 Communications Server is a robust, feature-rich solution that can be expanded to meet a medium-sized business’s communications needs for both today and tomorrow. Designed to be both versatile and scalable for your growing business needs, the SV8300 supports IP, TDM video, wired or wireless. It also provides high-powered features and applications that can be transparently shared between branch or remote locations. NEC’s UNIVERGE family of terminals take the standard phone to the next level through its large feature set and modular design. By delivering a wide range of customizable features, these terminals can help meet the communication needs of any workplace. As an integral part of UNIVERGE360, they connect people with the information, applications and tools that they need to drive business success. You can quickly and easily customize the terminals to meet your customers’ specific communications needs. And because these terminals support a wide range of applications, they offer the additional incentive of improving overall employee efficiency and productivity for your customers. Support of both VoIP and traditional voice on a single SV8300 system. Application integration for better customer service and improved teamwork. Scalability to a 2048 ports single image system, distributed over multiple sites. Rack-stackable architecture for server functions, media gateways and media converters in a single unit. Centralized management solution relieves the management burden for IT departments. Copyright © 2019 TruComm SBS. All rights reserved.